Nigerian Food Recipes are often referred to as organic and they make good Nigerian local dishes too. Although, the local dishes may sound too Africanized but they have proven to be extremely delicious and medicinal. No man in the entire world is known who is not a fan of good food. Sometimes, people even develop cravings for a meal they really like. I have people say I cannot go one day without eating this meal or that. The funny thing is that they might not be able to really point out to a tangible reason for this; they just saw it as their good pleasure. Here is a list of good local dishes any man will eat and forget his mum. 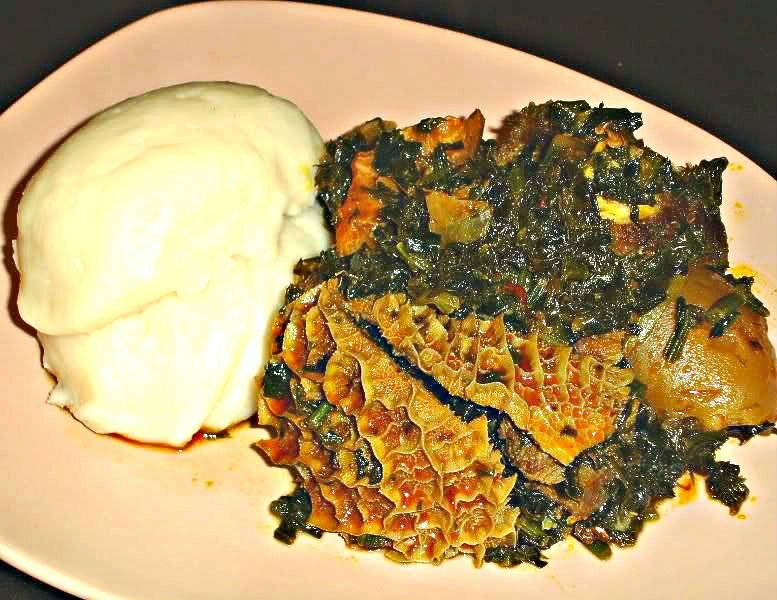 The major Nigerian food recipes for this delicacy are Yam and melon. Yam are well cooked and then pounded into soft Iyan which are better served warmed. Also, melon (Egusi) will be grinded along with pepper and other varieties of ingredient according to the taste of the cook. Then, cooked into a delicious soup while adding locust beans and other local spices to make it completes. Arguably, one of the most popular Nigerian local dishes is pounded yam and egusi. There was a time I always say the food was overrated until a day I ate the same meal at a canteen in Ilesha, Osun State. It was like the best meal I had eaten all my entire life. I remember going back to the same canteen to eat the same meal two times a day. It was so on point. The memory is still as fresh in my head as something that just happened yesterday. Akpu and Banga Soup is another nice combination of Nigerian local dishes, prepared even with Nigerian food recipes, that has become so popular even among the elites. The good thing about this food is not the akpu itself which is made up of mainly mashed cassava but the Banga soup. The Banga soup is always made with so many ingredients in it. After much preparation, it is stocked with a lot of marine creatures that spice the soup up. As a result of this sumptuous meal, most people overfeed themselves and do not discover that until they try to move from their spots of eating. 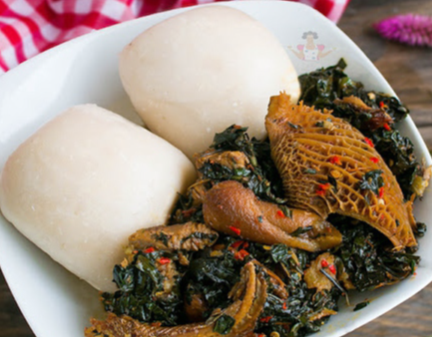 Amala, Ewedu and Gegiri are yet another Nigerian local dishes that are often combined to make a single meal. Gbegiri soup and ewedu soup are two delicious soups gotten by combining some moderately cheap Nigerian food recipes. In preparing this Nigerian local dish, cassava flour is stirred into Amala and Ewedu which is gotten from another vegetable of the same name will be cooked separately as well as Gbegiri. The combination of ewedu and gbegiri is called ‘’abula’’. Many men have forgotten their homes because of this special combination. In some environment in Yoruba land, it is a regular lunch for them because it makes the body light after consumption. It is an obvious fact that Tuwo Shinkafa meal is a special meal gotten through the combination of Nigerian food recipes mostly found in the Nothern parts of Nigeria. In fact, this meal is eaten in a special traditional location and highway joints in Nigeria. Among the Nigerian local dishes preferred by the Northerners, Tuwo Shinkafa would definitely top the list. The soup that goes with Shinkafa soup is often a sweet one that speaks volume about the food. 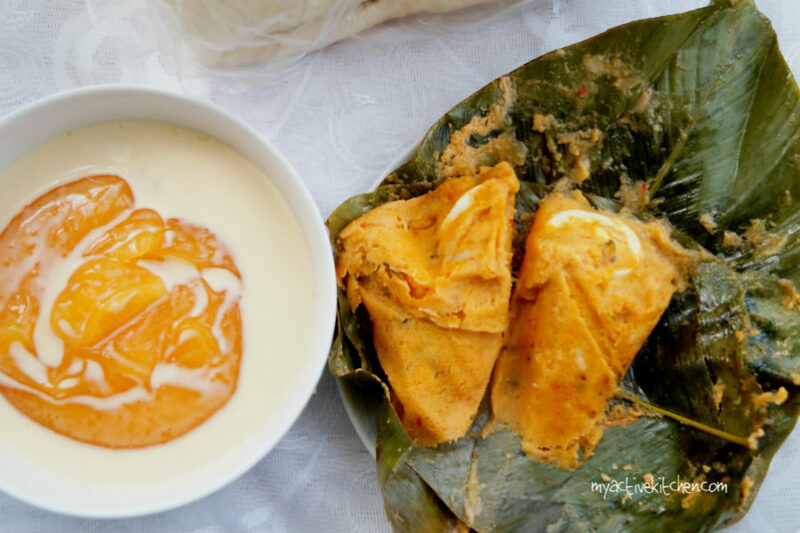 Perhaps, the food whose recipes are the easiest to find in Nigerian is Pap and Moi-Moi. Part of the Nigerian food recipes used in making Pap and Moi-Moi contained beans, maize grain, cray-fish, egg and other condiments. As simple as Pap and Moi-Moi may sound, it is a meal that can make you forget other things you ought to do. It has a relaxing effect which makes you sleep not long after consumption, only to wake up stronger and full of life. Perhaps that is why we listed it among Nigerian local dishes.